Quality Policy and Manual—All aspects of our translation process are carefully documented. 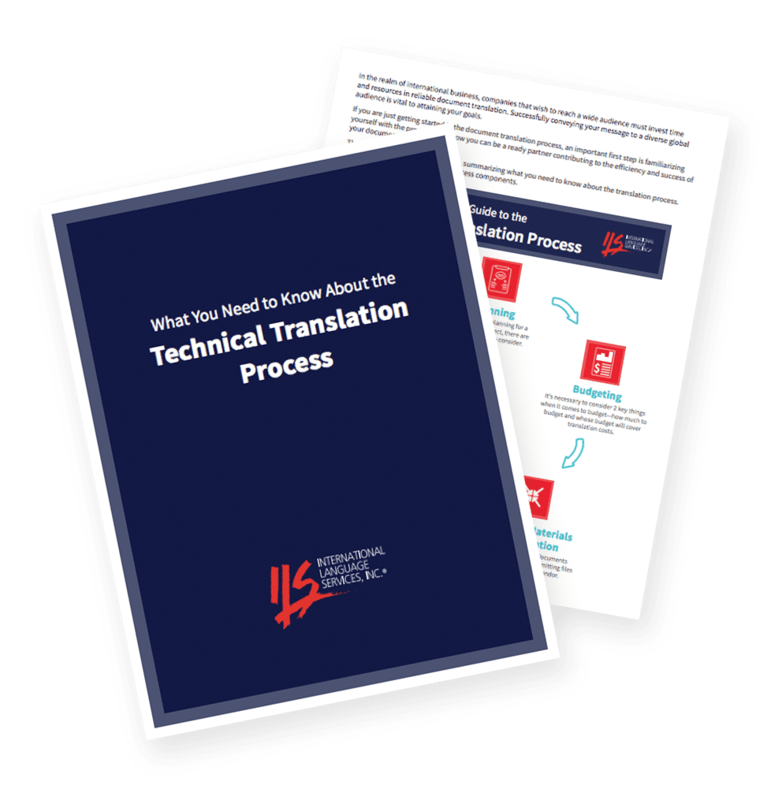 All ILS translators, project managers, and other staff adhere to these processes for every project. Regular Audits—Our operations are audited regularly by both internal resources and an independent third party to assure compliance and assess effectiveness. Record Keeping—Meticulous record keeping documents our operations and enables us to trace any problems to their source. Client Communications—Our quality system includes detailed processes for accurate communications with our clients. Performance Reviews—We regularly review performance of all aspects of our process to identify problem areas and correct them. Our translation process is continuously under review, with an eye toward improving quality, accuracy, and on-time performance. Problem Resolution—Anytime a problem develops, the root cause of the problem is identified, and all necessary corrections are made. Our clients often require a copy of our most current ISO certificate and sometimes, a copy of our quality manual as well, to document the quality controls under which their translations are completed. On request, ILS will also provide a project certificate, signed by your project manager, to further document our adherence to the quality procedures we have in place, as related to your particular project. At ILS, your project becomes our top priority, regardless of the target language. Multilingual translation projects are handled as seamlessly as single language needs. Native-speaking translators with knowledge of your industry will translate and edit your project, under the watchful eye of one of our experienced project managers. We’ll complete your project on schedule, delivering formatted documents that are ready for immediate use. Our ISO 9001:2015 certification and our 35+ years of building a stellar reputation are your assurance of complete satisfaction. Just getting started with the document translation process? We’ve got a guide for that.